We're conscious of the fact that our patients have special dietary needs. 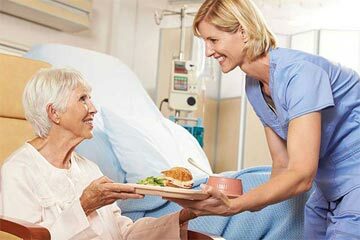 Caregivers can prepare meals following the guidelines set by an individual's physician and every meal is thoughtfully planned out with the patient's personal tastes in mind. 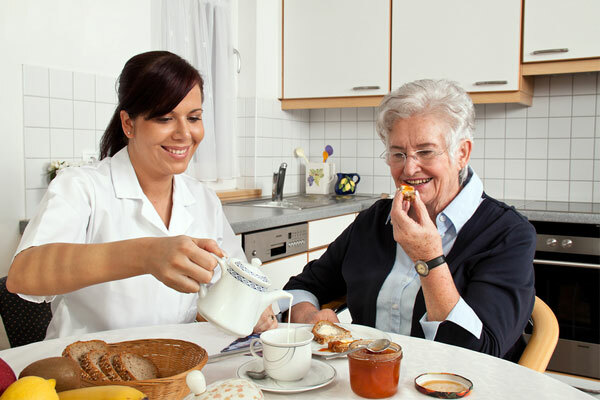 Patients are strongly encouraged to help out in the kitchen if they feel that they can. It'll help them to feel productive. Ensuring a patient is hydrated is also deeply important. Some diseases (congestive heart failure) can limit the fluids the patient can absorb throughout the day so it's good to keep an eye on it. Is being underweight an issue for the elderly? An extreme loss of weight can signal anything from malnutrition to cancer. 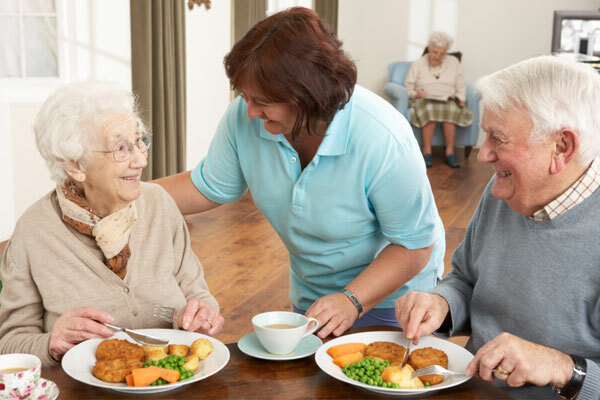 Malnutrition can occur in the elderly even if they are eating as the body can stop absorbing certain nutrients. A poor diet can perpetuate pre-existing medical conditions. As the body ages, it's harder for it to absorb nutrients from food. For example, the stomach will produce less acid for the absorption of vital vitamins like B-12. Supplements such as vitamin D and calcium can be prescribed. How much should my patient drink if they're incontinent? While embarrassing, incontinence shouldn't stop a patient from drinking enough water. 8oz of fluids per day tends to be enough for the average patient. If you're unsure, check the color of their urine against this infographic. Do food choices hold any bearing on Alzheimer's disease? While there's no proven way to prevent Alzheimer's, key nutrients are very important in keeping the brain functioning! Eat lots of greens!